A green roof is a roof of a building that has permanent vegetation planted on it. The vegetation layer is a garden planted on top of a waterproof membrane and includes other elements such as drainage and irrigation systems. Green roofs provide shade, stormwater management, and absorb the sun’s heat, providing cooling effects for the building when it’s needed during hot summer months. A green roof mainly consists of plants, fertilized soil, filters, a drainage system and an impermeable waterproof layer. The waterproof membrane is the first layer that is placed directly above the rooftop. The filter is positioned between the soil and the drainage layer to prevent particles from the soil from entering the drainage system. The drainage layer is a membrane composed of high-density polypropylene and acts as a water reservoir to further reduce rainwater runoff from the roof. The waterproof membrane is used to keep moisture away from the rooftop, where insulation layers may be present. The type of vegetation and soil used largely depends on the weather conditions of the geographical location of the building. When designing a green roof, the most important element to consider is the geographical location. The roof’s orientation to the sun and shading by surrounding buildings will have an impact on the vegetation. The additional weight that a green roof imposes on a building structure will be the primary concern when considering the costs and feasibility of adding a green roof. If a green roof is going to be placed on an existing roof, the design will be limited by the load capacity of the existing structure. Another integral part of green roof design is accounting for proper maintenance access. Access to the roof is provided through a small roof hatch, but special care should be taken to make sure there are enough walkways and paths on the rooftop to offer an easy way to take care of vegetation. 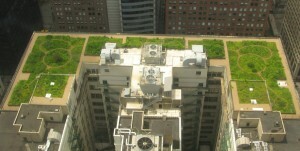 The ability of plants to survive on a green roof is directly related to the amount of maintenance and funds allotted to the roofing project. Climatic conditions on a roof can be extreme and unless one is willing to provide the proper shading, irrigation and soil fertilization, then the choice of vegetation will be limited to indigenous types of plants and grass. 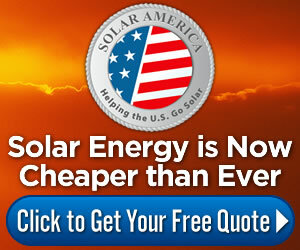 They are exceptional at eliminating heat island effects from the sun. On a hot summer day, the temperature of a green roof can be cooler than the air temperature, while the temperature of a conventional roof can be up to 90°F warmer. Green roofs absorb heat and function as extra insulation for the building, reducing the workload on the air conditioning and heating equipment. Vegetation helps remove air pollutants and absorbs carbon gas emissions. Green roofs reduce stormwater runoff in urban environments and they filter pollutants from rainfall. Green roofs improve the ecosystem by providing habitats for many species. While the initial costs of green roofs may be higher than roofs built with traditional materials, building owners can help offset their investment through reduced energy consumption and lower stormwater management costs.